To establish your preferences system-wide, click on Preferences at the top menu. The settings that you establish here take effect across all of your courses in Etudes. 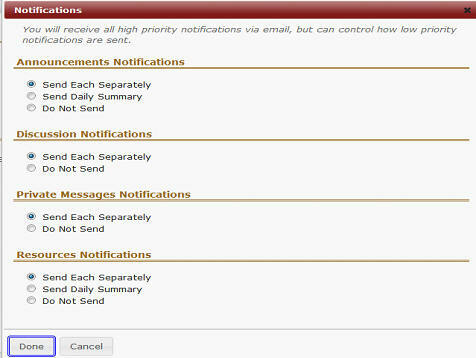 You can adjust your preferences for email notifications, change your time zone, and customize your tabs. To set your preferences in how you’d like to receive email notifications, click on the Edit icon to the right of this section. If you are taking or teaching an Etudes course from another state or part of the world, you can change the time zone in Etudes to reflect your current location. This will adjust all the dates across your courses to reflect your new time zone. 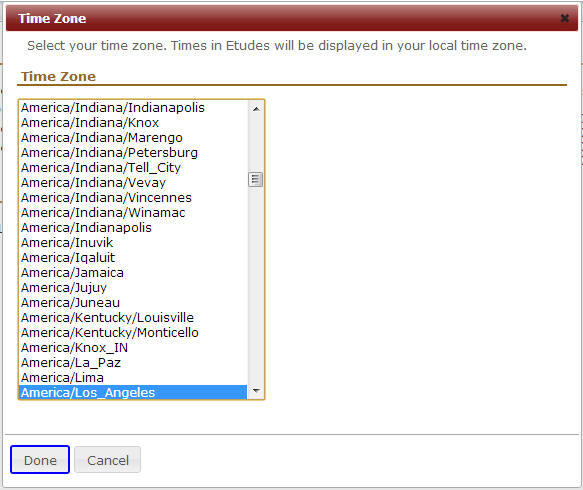 Under Preferences, click on Edit to the right of Time Zone to change it. Under Preferences, click on Edit to the right of Site Tabs to customize your tabs. A window will open listing your sites. Use the up and down arrows to order your sites. 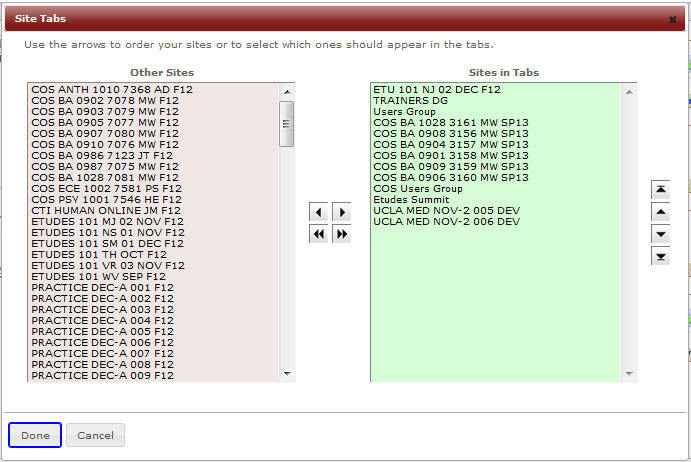 Your first 12 sites selected for your site tabs are included on your dashboard. To remove any sites from your Dashboard and your tabs, use the side arrows and move them to the ‘Other Sites’ window. Click on Done when you are finished.